Virtualization software is nothing new, and dates back quite some time. One of the most popular examples for the end user was Connectix Virtual PC for the Mac. Since there are a pretty huge number of programs that are only available on Windows, this created a strong market niche to let Mac users run Windows programs, even if at reduced speed. Virtual PC for the Mac, rather than emulating Windows, emulated the x86 architecture and the requisite peripheral devices, such as a video and sound card. This meant that emulation could work quite flawlessly, but also that any user would need to purchase a copy of Windows as well and then install it onto the Virtual PC. Virtual PC was a success and Connectix later created a Windows version which let you run most x86 OSes – something quite useful for developers, enthusiasts, and IT professionals. Another successful application of software-based virtualization technology was VMware’s collection of server virtualization products. IT departments with a large number of under-utilized or legacy servers could easily consolidate all of these servers onto a single newer machine and save on maintenance, floor space, and complexity. In 2003, Microsoft bought most of Connectix’s product line – including Virtual PC and the upcoming Virtual Server, along with much of the development and support staff. 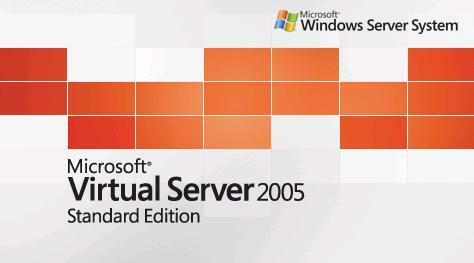 Since then Microsoft released an update to Virtual PC for Windows, Virtual PC 2004, and this year released Virtual Server 2005. It is also rumored that the backward-compatibility emulation which allows the non-x86 Xbox 360 to play Xbox 1 games is based on Virtual PC. Virtual Server is different from Virtual PC in that it is optimized for higher-performance applications. It also is administered through a web-based interface, and runs as a service within Windows. It is important to note that Virtual Server is not an operating system itself and runs as a service within a host operating system. It is also important to note that Virtual Server does not require Windows Server, but performance will probably be better on Windows Server over Windows XP Professional. Like most Microsoft products, Virtual Server is easy to install and after selecting a port to put the administration site on, you should be up and running in no time. No reboots required.